Hello, I'm Serene Foster and it is my pleasure to introduce Hydes Medical Herbalists and you can find out how Hydes Medical Herbalists Clinic, which has over 110 years of continual practice serving the public, would help you with your particular health issue. We see more patients that any other clinic in the UK and thereby over the years have accumulated case experience on a wider range of conditions than other practices. You are unique but it is most likely we have dealt with your condition before. This is the strength Hydes offers to you. Please feel free to explore the website and get to know us. 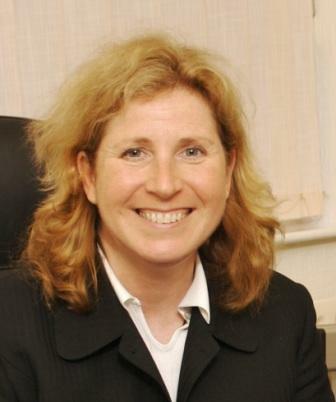 I became a Doctor of Immunology in 1991 and worked in medical research in some of the UK's leading research hospitals. 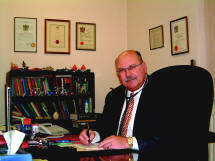 I later became a qualified Medical Herbalist and have worked with Hydes Herbal Clinic since 1996. It is my pleasure to introduce Hydes Medical Herbalists and tell you how Hydes Medical Herbalists Clinic would help you with your particular health problem. Over the years, Hydes Medical Herbalists have seen a vast range of conditions and illnesses with excellent results. We see simple problems and more complex pathologies. If it is a concern to you then our Medical Herbalists can help. You do not have 'to learn to live with it'. Call us directly on 0116 254 3178 for a free confidential discussion with one of our Medical Herbalists about your condition and how we can help. Alternatively simply Email us and we will get back to you. We will tell you where we have encountered a condition like yours before and what Medical Herbs would help you. All discussions are Private and Confidential. When you need to find us you can do so easily following directions to our main central Leicester Clinic only 75 metres from the main railway station and with nearby Car Parking. Please feel free to explore this website and get to know us. College of Practitioners of Phytotherapy (CPP). Our clinic was founded in 1908 by Jesse Hyde and expanded by his son Fletcher in the 1940s and developed further by his son John Hyde into the clinic we see today. I completed my professional training with John and worked with him for several years until his retirement in 2003 when I took over running the clinic. Medical Immunology and Medical Science with Medical Herbalism. In continual practice since 1908 Hydes Medical Herbalists see patients from all over the UK, each with their own unique case history and prescription. 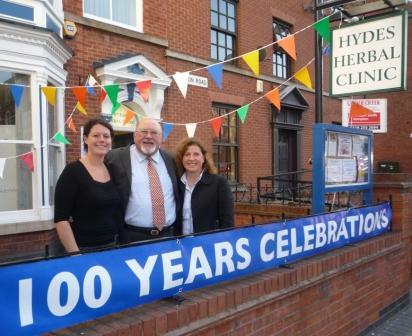 Hydes Medical Herbalists survived 2 World Wars and the creation of the NHS. Hydes kept Herbal Medicine alive learning from over 130,000 cases. Orthodox medicine and the UK’s leading universities increasingly recognise the role of Medical Herbalists and the importance of Herbal Medicine. Continuing research more accurately understands how plant medicines work with certain diseases and Medical Herbalists rely less on folklore or tradition. Your consultation with Hydes is confidential. However we often consult with a patient's GP, Consultant or any other person, if that is your wish and only having obtained your clear permission to do so. A major and unique strength of Hydes is that we produce almost all of our own herbal medicines onsite from raw herb in a process involving many weeks of maturation. This is a process Hydes first designed in the 1940s, and have perfected ever since which means that our medicines are unique and only available from Hydes. Where herbs are combined it is to recipees we have developed over the years and used many times before. We do not make these medicines available for retail sale and you can only obtain them from us. Our dispensing staff prepare your personal prescription, as specifically tailored to you by our Medical Herbalists. Over time we have found that this method produces the optimum result for our patients. British Herbal Medicine Association (BHMA) who in 2007 gave Hydes Herbal Clinic its rarely granted Lifetime Achievement Award recognising Hydes service to Herbal Medicine and Medical Herbalists as a Professional body. For Medical Herbalists at Hydes, this is not a job but a calling.